You may have had them tagged as goth-tinged pop fantasists, but with their much anticipated sophomore album Waiting For Something To Happen, Veronica Falls easily shrug off any notions of a difficult second album to create something that is easily more polished, more affecting, and more enduring than their peers would dream of making, and stake their claim as one of the most gloriously unpredictable and invaluable bands on the scene right now. Recorded with Rory Attwell (Male Bonding, The Vaccines),Waiting For Something To Happen is a bold and deliciously assured leap forward which sees the quartet of Roxanne Clifford, Patrick Doyle, James Hoare and Marion Herbain easily throw off the tongue in cheek references to ghostly romances and suicides to elegantly distill the essence of an aimless twenty-something existence – the collective anxieties, tensions and confusion of moving from adolescence into fully fledged adulthood – into a set of immaculately conceived and perfectly wrought pop songs. Indeed, the emotional throughline, from the title down, is one of slowly coming to terms with the process of growing up and eventually learning to face adult responsibility, of leaving behind the safe haven of “driving late at night, I'll let you listen to the music you like” (as they sing on the dreamy, dewy-eyed “Teenage”), and then searching for a “shooting star to point me in the right direction” (“Shooting Star”). Far from retreading the playful atmosphere of the debut, the band here mine a much more rich, emotionally resonant vein, be it weariness with dead end social scenes (“So Tired”), or the fear of your peers leaving you behind before you’re ready (“Everybody’s Changing”). Musically too, this album sees the band evolve into a more poised and confident pop entity, the melodies bolder and songs more muscular, as epitomized on spellbinding album opener (and first single) “Tell Me”. So there are deliciously askew pop belters in the form of “Buried Alive” and “Everybody’s Changing”, but there are also achingly tender moments present too, from the touching love song “Broken Toy” (“I am broken too, a broken toy like you”), to the gentle reverie “Daniel”, which strips the track to its barest essentials – shimmering guitar lines and perfectly harmonized vocals sighing, “nobody needs to know what we know, nobody needs to go where we go” to perfectly heart rending effect. With this superb second album it is clear Veronica Falls are only going from strength to strength – embrace them now. Veronica Falls are used to wrongfooting easy assumptions. Initially grouped with the explosion of lo-fi bands associated with the Captured Tracks scene in Brooklyn, the quartet of Clifford, drummer Patrick Doyle, fellow guitarist James Hoare and bassist Marion Herbain quietly released a series of limited edition, quickly sold out singles which gradually accrued them underground buzz and a cache of hopelessly devoted fans. Then they signed to Bella Union – one of the UK’s leading lights when it comes to independent labels – and released a blinder of a debut LP in 2011, one which trumped all expectations and rocketed the band to the covers of The Fly and Loud and Quiet and sold out gigs at the Scala. Casual listeners who just assumed that they just made pretty, pristine pop songs were forced to reevaluate their preconceptions when they examined the lyrics more closely – lurking beneath the glacial surfaces were lyrics about suicide and spectral love. 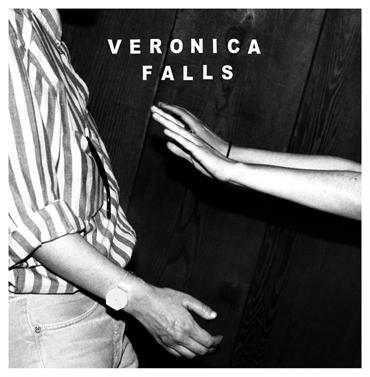 Now, with their sophomore album, Veronica Falls look set to pull out the rug from under people’s feet yet again. “Waiting For Something to Happen” sees the band emerge as one of the most potent and affecting, fully-formed indie guitar pop acts we have around. 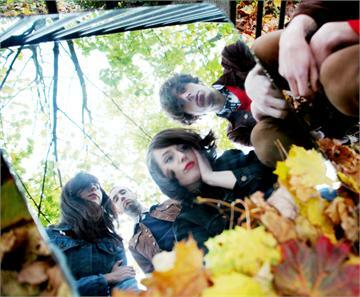 Beautifully mature and poignant, this marvellously assured second record sees the band throw off the casually morbid references to elegantly distill the essence of an aimless twentysomething existence – the collective anxieties, tension and confusion of moving from adolescence into fully fledged adulthood – into a set of immaculately conceived, perfectly wrought pop songs. “I’d say the word “wistful” really describes the mood of the album”, Clifford muses. “We chose the album title because to me it captures what people our age are all going through”. Indeed, the emotional throughline, from the title down, is one of slowly coming to terms with the process of growing up and eventually learning to face adult responsibility, of leaving behind the safe haven of “driving late at night, I’ll let you listen to the music you like...everything’s alright” (as they sing on the dreamy, dewy-eyed “Teenage”), and then searching for a “shooting star to point me in the right direction” (“Shooting Star”). Far from retreading the playful atmosphere of the debut, the band here mine a much more rich, emotionally resonant vein, be it weariness with dead end social scenes (“So Tired”), or the fear of your peers moving on with their lives before you’re ready (“Everybody’s Changing”). Musically too, this album sees the band evolve into a more poised and confident pop entity, the melodies bolder and songs more muscular. Recorded with Rory Attwell (who has worked with everyone from The Vaccines to Male Bonding), these are tracks which spin gorgeous, sun-kissed melodies across their tales of growing pains and romantic dysfunction. So there are deliciously askew pop belters in the form of “Buried Alive” and “Everybody’s Changing”, but there are also achingly tender moments present too, from the touching love song “Broken Toy” (“I am broken too, a broken toy like you”), to the gentle reverie “Daniel”, which strips the track to its barest essentials – shimmering guitar lines and perfectly harmonised vocals sighing, “nobody needs to know what we know, nobody needs to go where we go” to perfectly heart rending effect. You may have had them tagged as goth-tinged pop fantasists, but with “Waiting For Something to Happen”, Veronica Falls easily shrug off any notions of a difficult second album to create something that is easily more polished, more affecting, and more enduring than their peers would dream of making, and stake their claim as one of the most gloriously unpredictable and invaluable bands the UK has right now. Clutch them close to your heart.